Vidya Stokes, Irrigation & Public Health Minister and G. S. Bali, Food, Civil Supplies and Consumers Affairs Minister have lashed out at the BJP leaders for accusing the State Congress Government of vendetta against the Dhumal family. They dismissed the accusations as totally false and fabricated. In their joint statement, Congress leaders said that it was P.K Dhumal has brought the politics of vendetta and victimisation of opponents to the State. They reminded BJP leaders that during his first tenure from 1998 to 2003 Prem Kumar Dhumal had unleashed a personal vendetta against Virbhadra Singh and false cases were registered against him including the Sagar Katha Case, in which he came out clean from the Hon’ble Supreme Court. Dhumal Government did not stop here and submitted a 32 point chargesheet against Virbhadra Singh to the CBI for investigation, they added. At that point of time there were BJP Governments both in the State and at the Centre. After a thorough inquiry, the CBI gave a clean chit to Virbhadra Singh on all the charges. The ministers said that in spite of all the false cases and inquiries against him, Virbhadra Singh never resorted to politics of revenge on coming to power, and hoped that good sense would prevail upon his opponents. Not even a single case was registered against any political opponent during the Congress Government. Virbhadra Singh always believed in clean and healthy politics and good governance. Instead of repentance or remorse, on his return to power again in 2007, Dhumal again resorted to his politics of vendetta and victimisation and a number of false and fabricated cases were registered against Virbhadra Singh and his family members. Inquiries were opened against almost all the top Congress leaders and they were unnecessarily harassed for full five years. Nothing was found in cases against Virbhadra Singh and other Congress leaders and all cases and inquiries fell flat. BJP sensationalised the CD case to malign the image of Virbhadra Singh and draw political mileage. 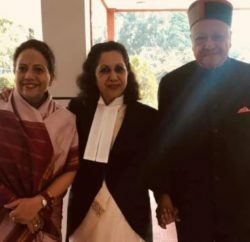 But, ultimately the truth prevailed and all falsehood and fabrications of the BJP Government failed the test of law and justice in the Hon’ble Court, which acquitted Virbhadra Singh. They said that it was strange that after all the vindictiveness and vendetta by the BJP during their tenure, its leaders were pointing fingers at the Congress Government, which was a crude joke. Vindictiveness, Vendetta and victimisation were the essence of Dhumal Government and not even their own Party people were spared what to talk of opponents of other Parties. The Dhumal Government illegally intruded into the privacy of his party-men, political opponents, officers, media persons by indulging in phone tapping and bugging, whereas, Virbhadra Singh never believed in politics of vendetta and victimisation, they claimed. The ministers said that the probes against the misdeeds of the previous BJP Government were being carried out by the investigating agencies as per law on the basis of the charge-sheet submitted by the Congress Party. This charge-sheet was prepared and submitted to the President of India by a committee of which Virbhadra Singh was not even a member. 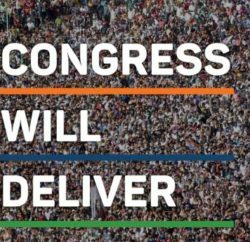 The charge-sheet is a part of the election manifesto of the Congress Party that has been adopted as the policy document of the present Government. It was totally absurd to allege that the probes have been ordered by any individual or are aimed at a particular individual or a family. BJP leaders should have faith in law and justice, and if they have done no wrong, they need not to fear. They advised the BJP leaders to shun the politics of character assassination and mudslinging and look into their own collars before pointing unnecessary fingers at others.